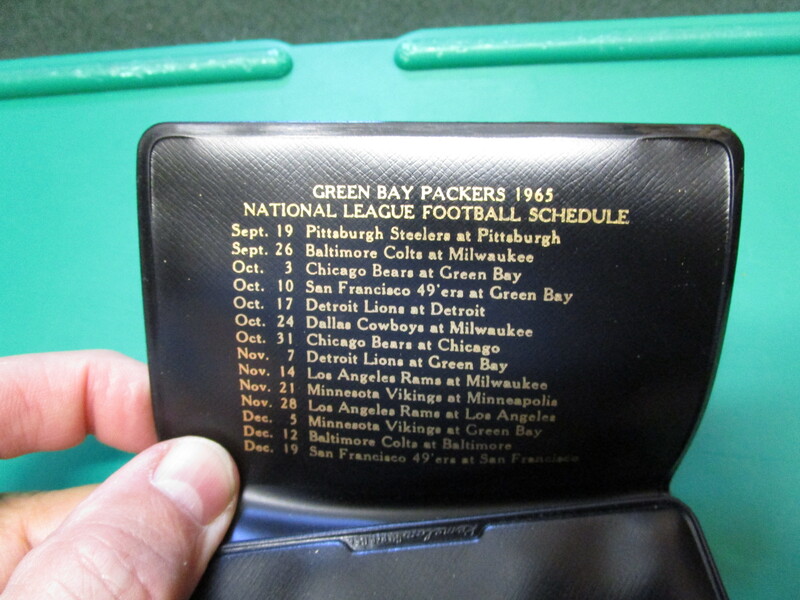 Here is a 1965 Green Bay Packers Vinyl Tri-Fold Wallet with Team Photo on the outside and 1965 Schedule on the inside. 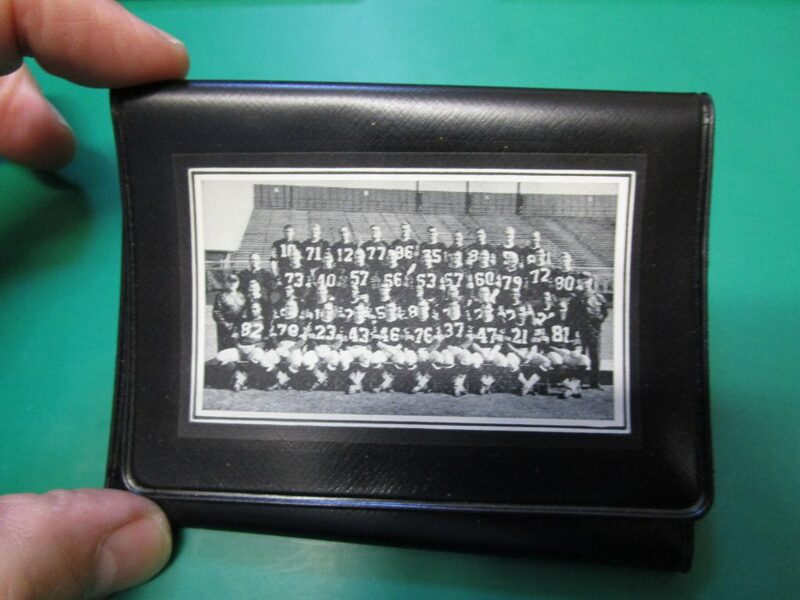 Absolutely Mint Condition-never used. A Great Time Capsule-Nearly impossible to find one this nice.